The answers were as varied as gardens themselves … a garden’s beauty, a sense of accomplishment, growing wholesome natural fruits and vegetables, stress relief, and many more. One participant finally added “a garden’s wonderful aroma” … and a thoughtful pause ensued, followed by universal agreement. It might be something we take for granted, but the joy of a garden’s pleasing scent is unmistakable. Gardening adds so much to our lives, and this welcomed sensory experience is right at the top of our list! You’ll want to understand first which fragrant foliage plants do well in Zone 5 and 6 gardens (we’ll help you out with that one!). Then, you’ll need a sense of their “fit” in your existing space … how will they spread, what will they look like at maturity, and their compatibility with your other favorites. 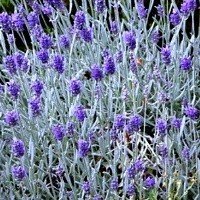 The English Lavender plant is a real example of “two for one” … both the foliage and blooms offer a pleasant aroma! 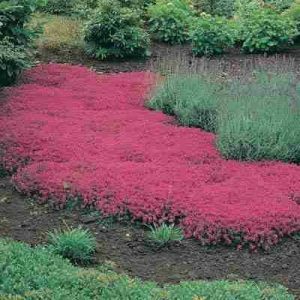 Shrubs can also add to your garden’s sensory experience, as many offer foliage with unique, fragrant scents. Bigroot Hardy Geranium: Sometimes known as “Bevan’s Variety”, this geranium features pine scented foliage. 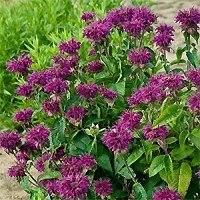 It grows to about 18 inches tall and spreads slightly wider. Hay Fern: Owing its name to foliage that smells like freshly mowed hay, this plant is cold tolerant (it’s fine to Zone 3) and tops out at about three feet tall. Remember, the scent of most if not all of these plants is “activated” by touch … when you brush against them or work amidst them, you’ll be rewarded with their understated scents. Are any of your favorites not mentioned here? Let Flower Chick know in the comments below!